Albright Community Thanksgiving Dinner: bringing Pittsburgh neighbors together for over 40 years. 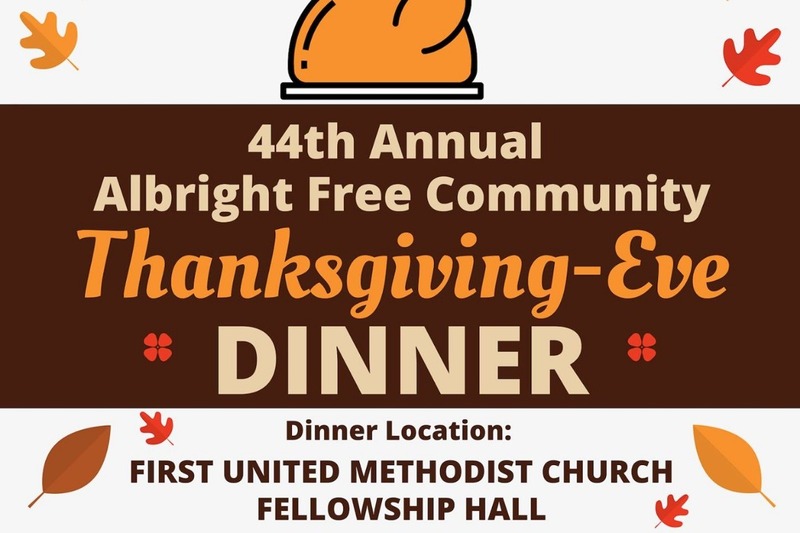 For 43 years the congregation of Albright Methodist Church has hosted a Community Thanksgiving Eve Dinner to serve our neighbors in the East End. This year's Dinner will be held on Wednesday, November 22, 2017 at First United Methodist Church, 5401 Centre Avenue, 15232. We need your help to make the 2017 dinner a success. Please consider making a contribution to help pay for the costs of the meal. Volunteers are needed to help cook and serve as well. Thank you to everyone who helped with the 2017 Thanksgiving-Eve dinner. 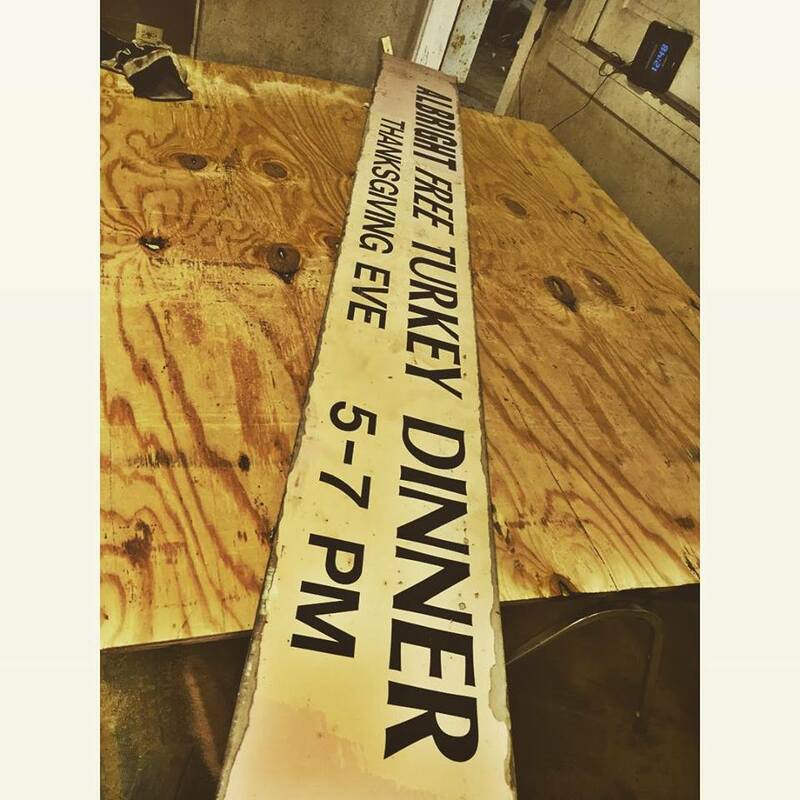 The 2018 Thanksgiving Eve dinner is almost here! If you would like to volunteer, sign up here: https://goo.gl/forms/gC1BTwOmv01D0HFj1. 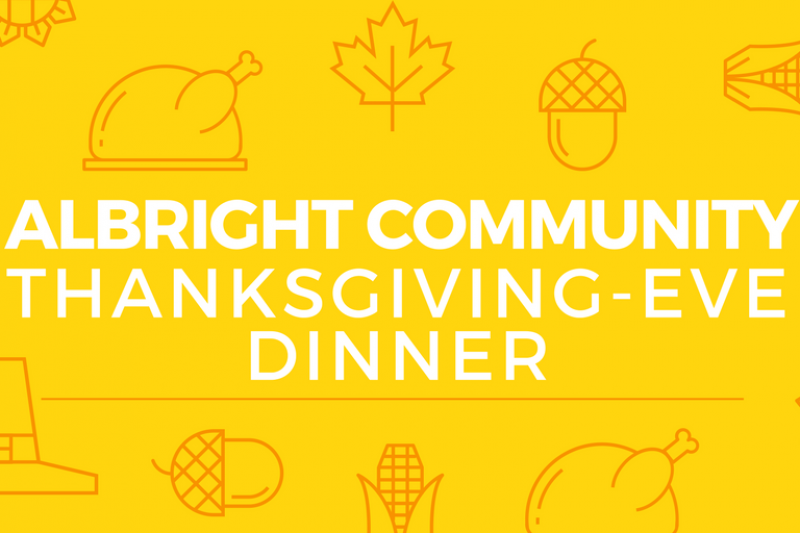 If you would like to make a donation to the 2018 Thanksgiving Dinner, we have a new gofundme page here: https://www.gofundme.com/2018-albright-thanksgiving-dinner. This is a totally FREE community meal that is prepared by volunteers. Last year we served over 200 guests! Thank you for helping to make this possible. Thank you to all of the donors! We are almost to 20% of our goal with 17 donors! This is a huge help.